Netflix Inc. (Nasdaq: NFLX) stock is a bargain right now, though it may not look like one. That's why investors have been selling Netflix stock over the past week, knocking shares down from an all-time high of $489.29 hit on Sept. 9 to the $450 range today (Tuesday). It's easy to see why many people think Netflix stock is overheating. Shares of the streaming video company are up more than 23% on the year, even after the recent pullback. In the past 12 months, NFLX stock is up more than 50%. And then there's the price/earnings ratio (P/E), which is about 137, far above the overall S&P 500 P/E of just under 20. Add in the general jitters about a possible stock market correction, and it's no wonder Netflix stock has slipped from its highs. These are all legitimate concerns, but they are all trumped by the Los Gatos, Calif.-based company's extraordinary potential. Let's start by looking at Netflix' performance in its most recent quarter. Profits were up an impressive 141% from the same period a year earlier, and revenue was up 25.3%. Meanwhile, the company continued to grow its customer base, reaching the 50 million subscriber milestone. On Monday Netflix announced it will expand into six European countries, including France, Germany, Switzerland, Austria, and Belgium, over the next year. "This is the biggest international launch we've ever done. It represents nearly 80 million broadband households and about 200 million people," Netflix Chief Executive Officer Reed Hastings told the Financial Times. That's a lot of potential new customers. 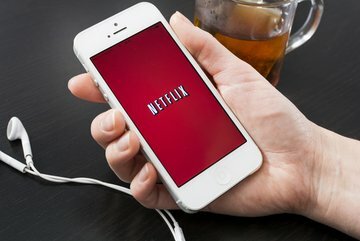 Research firm IHS Technology estimates that the addition of the six new European countries alone will result in 5 million to 6 million new Netflix subscribers by 2018. Now, critics point out that the ongoing international expansion is costly. In fact, the international division of Netflix has been showing a loss. But this rate of investment will slow over time, which will turn those losses into gains that will be accelerated by the growth in the subscriber base, which is expected to reach about 45.8 million by 2018. "International subscriber growth is the most important variable driving stock performance for the foreseeable future," Morgan Stanley analyst Benjamin Swinburne said in a research note. And those numbers don't count an eventual expansion into Asia, although Hastings has said the company views such nations as Korea and Japan as "great opportunities." Meanwhile, Netflix expects its U.S. subscriber base to grow from about 36 million now to 54 million by 2018. That means Netflix will roughly double its subscribers by 2018 to 100 million. And with investment costs declining over that period, earnings per share will more than double. "We continue to believe that Netflix has achieved a level of sustainable scale, growth and profitability that isn't currently factored into its stock price," RBC Capital markets analyst Mark Mahaney told Investor's Business Daily. Plus, as Netflix's international footprint grows, it will have more leverage in striking global licensing deals for content, which will also help the bottom line. As the Netflix business model accelerates earnings over the next few years, the NFLX stock price will follow.